Carbon monoxide detectors are essential for homes with fuel-burning appliances, such as gas stoves, water heaters and furnaces. Even if your appliances are electric, you should consider installing detectors to protect you and your family from dangerous levels of carbon monoxide (CO) that could leak in from an attached garage or nearby running generator. Our team has thoroughly researched a number of carbon monoxide detectors with a wide range of features to help you narrow down which product best fits your needs and budget. Read more about our methodology. Striking the perfect balance between technology and reliability, the Nest Protect Smoke & Carbon Monoxide Alarm is an easy choice for our top pick in carbon monoxide detectors. This stylish-looking unit comes in wired or wireless versions, and offers interconnectivity with other Nest alarms. Offering an advanced suite of features to constantly keep you up-to-date on CO levels in your home, the Kidde KN-COPP-3 Nighthawk Plug-In Carbon Monoxide Alarm is a solid, dependable choice for those interested in keeping their homes safe from dangerous gases. This product is easy to install, simple to use, and its price point is almost half what you’d expect to pay for a traditional carbon monoxide detector. All things considered, the First Alert CO605 Carbon Monoxide Plug-In Alarm is a no-brainer as our budget pick. 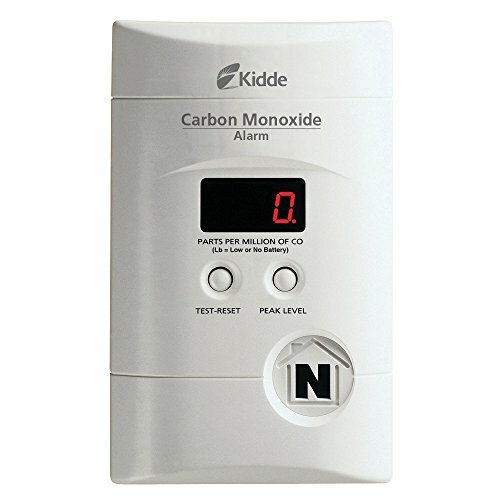 The Kidde KN-COPP-B-LPM Carbon Monoxide Alarm is unique in that it’s competitively priced for a two-pack, which makes it a steal for a standard carbon monoxide detector with solid reviews and a digital display. The battery-operated First Alert PRC700 Smoke and Carbon Monoxide Alarm is half as thick as a standard detector, so it can be mounted or placed wherever you need to detect both smoldering fires and potential CO gas leaks. The Kidde KN-COB-IC Hardwire Carbon Monoxide Alarm is perfect for homeowners or building contractors looking for a hardwired carbon monoxide detector that’s easy to install and can be interconnected with other units to create a network of protection. Homeowners who want to stay safe without cluttering their living areas with multiple smoke alarms and carbon monoxide detectors will enjoy the convenience of the two-in-one Kidde KN-COSM-BA Combination Smoke/Carbon Monoxide Alarm. The Safe-T-Alert 40-442-P-WT Propane/LP Gas Detector is an essential accessory for owners of motorhomes, travel trailers, fifth wheels, trucks and folding campers. It’s small and can be mounted flush to save space without sacrificing protection. The Sensorcon Industrial Pro Carbon Monoxide Detector is designed for multiple applications in the modern industrial work force, from emergency first responders to construction and building maintenance technicians. It has a rugged waterproof and shockproof design and an extended CO range from zero to 2,000 ppm. Some carbon monoxide detectors have digital displays that show the current concentration of CO in parts per million (PPM), and may show other readings such as temperature and humidity. All detectors certified by the Underwriters Laboratory (UL) must sound an alarm when concentrations reach 70 PPM, which is considered unsafe for the average person, though levels as high as 30 PPM can be dangerous for children, pregnant women, or those with heart issues. Detectors with digital displays can also keep you aware of spikes in CO levels while you’re away from home. Carbon monoxide detectors are powered in two ways: with batteries or through a wired connection. Battery powered detectors have the benefit of being cheaper and more portable, as well as the ability to remain working during a power failure. However, they will need their batteries replaced every six months. Hardwired detectors require little to no maintenance, but require an experienced technician to install them correctly. These models carry the added benefit of being able to be linked together to form an alarm network for your entire home or business. If you decide to go with a hardwired carbon monoxide detector, make sure that it comes with an adequate backup battery in case of power failure in your home or business. Because these batteries are only used in case of emergency, they tend to last the lifetime of the detector – anywhere from five to 10 years. With advances in wireless technology, certain “smart” carbon monoxide detectors have added alarm connectivity features to battery-powered detectors. This allows you to place multiple detectors on each floor of your home and sync them so when one detector trips, they will all sound an alarm. Be prepared to pay more for this convenience. All UL-certified carbon monoxide detectors will have a printed date of manufacture on their packages. Because the sensors on these detectors are sensitive and wear out over time, it’s important to only use ones that are as close to this date as possible. Basic carbon monoxide detectors start around $25 to $30 for battery-powered models without a digital display. 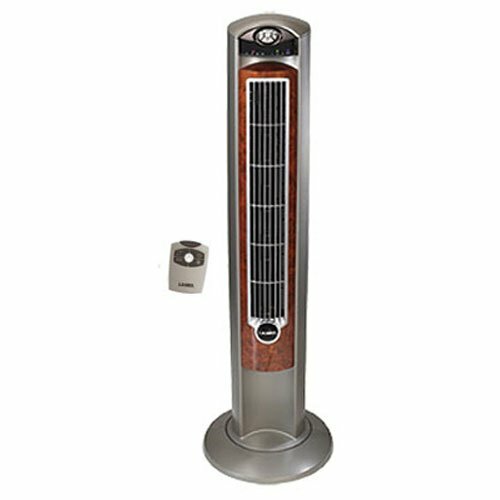 Prices increase as the number of features increase, with hardwired and portable devices that utilize digital displays with temperature and humidity readings typically going for around $50. Smart carbon monoxide detectors with wireless connectivity and mobile-app capability can be had for $99 and up, but are really only worth it if you’re willing to commit to purchasing multiple units. Truly portable, professional-grade carbon monoxide detectors with extended sensor ranges start around $170, and can reach close to $200 with added waterproof and shockproof features. Few smoke and carbon monoxide alarms can say they’re both stylish as well as effective, but the Nest Protect Smoke & Carbon Monoxide Alarm handles both with ease. It’s noticeably more compact than the first-generation Nest Protect, while offering a few new features such as in-app testing and alarm silencing options. The main draw for this detector is its ability to easily pair with other Nest products, including thermostats, security cameras, and other carbon monoxide alarms. The Nest Protect Smoke & Carbon Monoxide Alarm is rated to last 10 years and comes in wireless or wired versions (with AA battery backup in case of power failure). Sleek design. A large number of reviewers claim to love the modern, elegant design of the Nest Protect Smoke & Carbon Monoxide Alarm. It has a night-light that emits a soft, pleasant glow. Mobile app control. 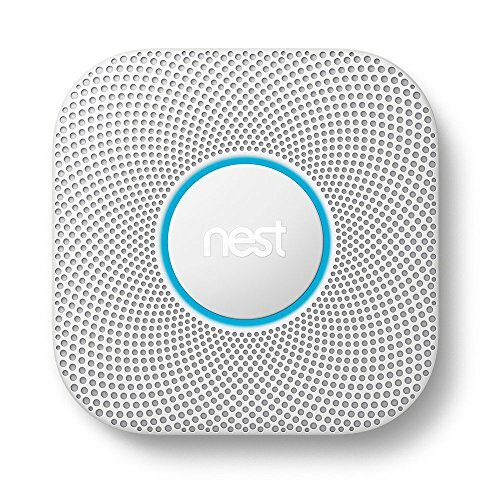 The Nest Protect Smoke & Carbon Monoxide Alarm can be fully controlled from the Nest mobile app. Reviewers are especially pleased with the option to silence alarms remotely, something the first-generation Nest Protect does not offer. Smart technology. Several users are impressed with the Nest Protect Smoke & Carbon Monoxide Alarm’s ability to conduct self-tests and issue specific voice alerts depending on the danger detected. Interconnectivity with other Nest devices. Customers with other Nest products report that the Nest Protect Smoke & Carbon Monoxide Alarm pairs seamlessly. If it detects dangerous levels of CO, it can command the Nest Thermostat to shut off the furnace automatically. Considerate alarms. A few users mention that the Nest Protect Smoke & Carbon Monoxide Alarm issues a gentle warning before setting off a full alarm, a great feature for those that accidentally trigger false alarms while cooking or using a fireplace. Requires wireless connection. While all Nest Protect Smoke & Carbon Monoxide Alarms create their own ad-hoc network to communicate with each other in your home, a wireless network is still required if you wish to control them using the Nest app on your mobile device. Not a noticeable upgrade. Many users agree that the second-generation Nest Protect Smoke & Carbon Monoxide Alarm looks much better than the first, but is not a huge leap ahead in terms of features added. Customers who already own the first-generation Nest Protect may not feel an upgrade is worth the cost. Expensive. The Nest Protect Smoke & Carbon Monoxide Alarm is almost twice as expensive as the average for combination smoke and carbon monoxide alarms, which may make it cost-prohibitive for some consumers. The Kidde KN-COPP-3 Nighthawk Plug-In Carbon Monoxide Alarm offers a host of CO-monitoring features in a relatively small and unobtrusive package. It can be conveniently plugged into any outlet in your home for instant protection; the 9V battery backup means you’ll stay protected even if you lose power. This carbon monoxide detector has a handy digital display that shows a continuous reading of CO levels that updates every 15 seconds and a “peak level” memory feature displaying the highest CO level detected since the device was last reset. The KN-COPP-3 Nighthawk has an impressive 10-year sensor life and a 10-year limited warranty. Easy installation. Many users are pleased with how simple it is to install the Kidde KN-COPP-3 Nighthawk Plug-In Carbon Monoxide Alarm – simply plug it into a wall outlet and it begins reading CO levels. Digital display. Reviewers like the added security of knowing the exact levels of CO in their homes at all times; the Kidde KN-COPP-3 Nighthawk Plug-In Carbon Monoxide Alarm even displays CO levels that are below the threshold for alarm. Exceptional warranty. The Kidde KN-COPP-3 Nighthawk Plug-In Carbon Monoxide Alarm comes with a 10-year limited warranty and 10-year sensor life. Reviewers who had to exchange faulty units say Kidde’s customer service was top-notch and replacements were shipped promptly. Customizable mounting options. The Kidde KN-COPP-3 Nighthawk Plug-In Carbon Monoxide Alarm can be plugged directly into an outlet, or you can use the included mounting hardware and extendable six-foot power cord to place it wherever you’d like. Peak-level memory. Customers really appreciate that the Kidde KN-COPP-3 Nighthawk Plug-In Carbon Monoxide Alarm stores the highest CO reading it detects between resets, which allows them to check if levels spiked for some reason while they were not at home. Alarm cannot be snoozed. Unlike other carbon monoxide detectors, the Kidde KN-COPP-3 Nighthawk Plug-In Carbon Monoxide Alarm does not allow users to snooze false alarms. The device needs to be manually reset each time. Backup battery is mandatory. 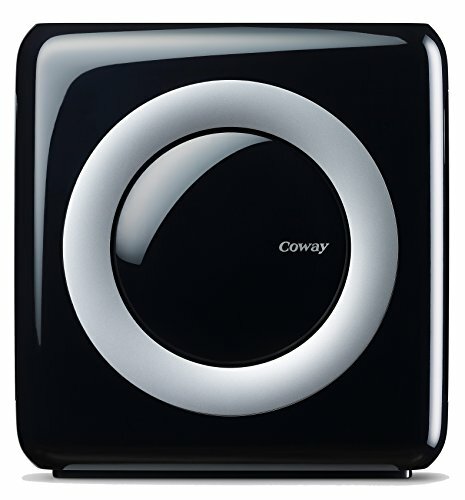 Several users report that, though the Nighthawk Plug-In Carbon Monoxide Alarm is AC-powered, it cannot be used without a backup battery installed. If that battery becomes low, the unit will chirp incessantly until it is replaced. Sensor life less than advertised. Some reviewers claim that, while the Kidde KN-COPP-3 Nighthawk Plug-In Carbon Monoxide Alarm claims to offer a 10-year sensor life, their units delivered an error code after seven years that rendered the unit useless until replaced. 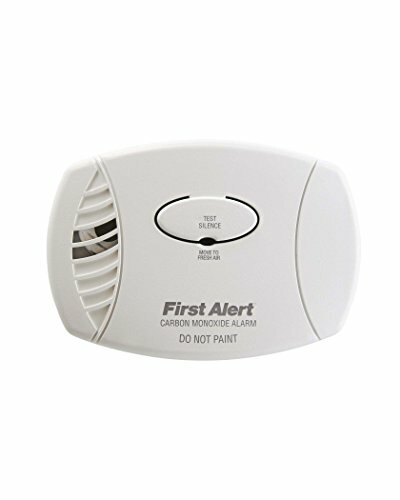 The First Alert CO605 Carbon Monoxide Plug-In Alarm is a great choice for those looking to protect their homes on a budget. It’s the best-selling carbon monoxide detector on Amazon for a reason – it’s simple to install and use, has a decently long life, and comes packaged with a backup 9V battery. This detector offers an intuitive one-button control for testing or silencing alarms, and a front-facing battery access door that makes replacing the backup battery a breeze. The unit is ready to plug in and go right out of the box, and comes with a seven-year limited warranty. Indicator light. Customers like that the First Alert CO605 Carbon Monoxide Plug-In Alarm has a red LED indicator light that not only lets them know it's working, but helps them to avoid accidentally colliding with it in the dark. Easy to replace battery. The battery access panel for the First Alert CO605 Carbon Monoxide Plug-In Alarm is located on the front of the unit, which allows you to remove and replace the backup battery without unplugging it from the wall. Low battery signal mute. Many users appreciate that, unlike other carbon monoxide detectors, the First Alert CO605 Carbon Monoxide Plug-In Alarm has an option to mute the “low battery” alarm for up to eight hours. Simple to use. Reviewers say that the First Alert CO605 Carbon Monoxide Plug-In Alarm comes with easy-to-read instructions that clearly explain how the unit should function and what the different alerts mean. Lack of digital display. Though users report that the First Alert CO605 Carbon Monoxide Plug-In Alarm is accurate, they wish it had a digital display that showed CO levels in real time. Short lifespan. The First Alert CO605 Carbon Monoxide Plug-In Alarm is advertised with a seven-year limited warranty, but many users claim their detectors only last about half that long. That you can buy a two-pack of Kidde KN-COPP-B-LPM Carbon Monoxide Alarms for a little more than the average price of a single detector makes it a hard deal to pass up — especially when the detector has a digital display for current CO levels, a peak memory feature for recording higher-than-average carbon monoxide spikes, and a 10-year sensor life and 10-year limited warranty. It’s easy to set-up – just insert the included three AA batteries and mount it wherever you want. It also has a neat safety feature that prevents the battery door from closing without any batteries installed in the unit. Two-for-one. The price for a two-pack of Kidde KN-COPP-B-LPM Carbon Monoxide Alarms is only slightly more than average for a single detector, giving you more protection for less money. Digital display. Users love how the Kidde KN-COPP-B-LPM Carbon Monoxide Alarm’s digital display shows the current level of CO detected at all times, even when it’s not enough to trigger an alarm. Battery safeguard. Some reviewers appreciate that the Kidde KN-COPP-B-LPM Carbon Monoxide Alarm has a safety feature that prevents closing the battery door without any batteries in place. This ensures that all units are installed and powered properly. Loud alarm. The Kidde KN-COPP-B-LPM Carbon Monoxide Alarm claims its alarm is rated to 85 decibels at 10 feet of distance. Customers claim this detector is loud enough to hear even on different floors. Excellent CO detection. While many users are happy with the Kidde KN-COPP-B-LPM Carbon Monoxide Alarm’s sensor, a few mention that it’s powerful enough to pick up the presence of gas from another room. Display is not backlit. Some users say that the digital display is not backlit as Amazon claims. This may make it difficult to read in the dark. No connectivity. Because the Kidde KN-COPP-B-LPM Carbon Monoxide Alarm is a battery-powered detector, it can’t be linked up with other alarms in your home like other wired (or more advanced) units can. Don’t use included batteries. Several customers say that the batteries packaged with the Kidde KN-COPP-B-LPM Carbon Monoxide Alarm are cheap and do not last very long. Safety regulations advise that you should have multiple carbon monoxide detectors in your home; the bare minimum is one on each living level, one in the basement and one near (not inside) the door to an attached garage. Battery operated carbon monoxide detectors make it much easier to meet this guideline than hardwired detectors because they’re fairly inexpensive and can be placed almost anywhere without having to worry about electrical wiring. Keep in mind that batteries will need to be replaced every six months or so. For home or business owners who want one detector that can do it all, the First Alert PRC700 Smoke and Carbon Monoxide Alarm is an excellent choice. Its battery-powered operation means it can go almost anywhere, and its easy-twist mount makes installation a simple flick of the wrist. Once installed, the tamper-resistant mount ensures that accidental contact won’t jar the detector loose. This carbon monoxide detector also has a single button to test and mute alarms, and a blinking LED indicator to let you know it’s operating properly. It also comes with a 10-year limited warranty for defective units. Tamper-resistant installation. Several users say that the First Alert PRC700 Smoke and Carbon Monoxide Alarm locks securely to the mounting bracket with a twist, which prevents accidental removal of the battery and/or alarm. Excellent customer service. A handful of reviewers who said they received faulty units were impressed with how helpful and fast First Alert’s customer service was in solving their issues and sending replacement units. Standard mounting hardware. Customers who previously had had older First Alert detectors in their homes say their new First Alert PRC700 Smoke and Carbon Monoxide Alarm units used the same mounting hardware; only the mounting bracket needs to be replaced. Combination smoke and carbon monoxide detector. A number of reviewers say that the main reason they purchased the First Alert PRC700 Smoke and Carbon Monoxide Alarm is because it has a photoelectric smoke detector and electrochemical carbon monoxide gas sensor all in one package. Annoying self-testing alarm. Some customers complain that the First Alert PRC700 Smoke and Carbon Monoxide Alarm will conduct self-tests randomly, sometimes in the middle of the night. Not approved in Massachusetts. At least one user claims that the First Alert PRC700 Smoke and Carbon Monoxide Alarm is not approved for use in the state of Massachusetts because it does not have a voice alert that describes if it is smoke or CO gas being detected. Short life span. While the specifications for the First Alert PRC700 Smoke and Carbon Monoxide Alarm say it has a 10-year limited warranty, many customers found that their units only lasted two to three years before indicating they needed to be replaced. Many brands of carbon monoxide detectors offer both battery powered and hardwired models for your convenience. The main difference is that hardwired carbon monoxide detectors must be connected to your home’s electrical system by a professional, making them virtually maintenance-free. They can be wired together to create a network of alarms that will all sound even if only one detector is tripped, something most battery powered detectors can’t do. They tend to be more accurate and offer 24/7 monitoring by emergency service centers – though this tends to make them more of an upfront investment. 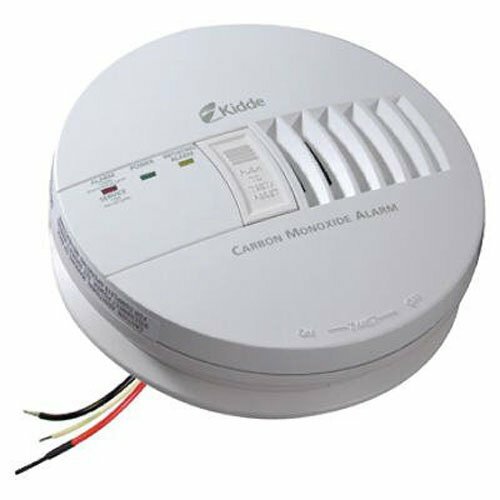 Whether you’re a contractor looking for an efficient way to install the required number of carbon monoxide detectors in your building, or just a concerned homeowner who wants a strong shield of protection from dangerous levels of CO, the Kidde KN-COB-IC Hardwire Carbon Monoxide Alarm is for you. Its adjustable mounting bracket and quick-connect, snap-on harness makes it simple to install while offering the interconnectivity of standard hardwired carbon monoxide detectors – up to 24 devices on a single wiring network. 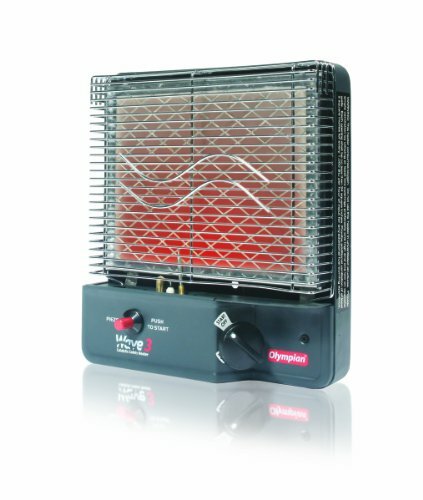 It comes packaged with a pre-installed 9V backup battery and a standard 10-year limited warranty. Interconnectivity. 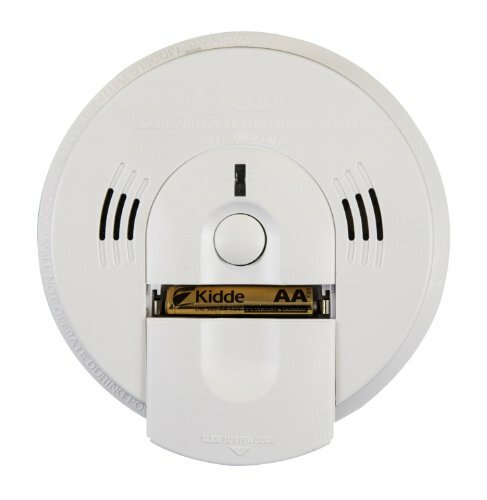 The Kidde KN-COB-IC Hardwire Carbon Monoxide Alarm can connect with up to 24 other devices, including smoke alarms, heat alarms, and other CO detectors on the same wiring network. Superior customer service. A few users who attempted to install the Kidde KN-COB-IC Hardwire Carbon Monoxide Alarm themselves say that Kidde’s customer service representatives were able to talk them through some of the wiring installation process. Battery life. Because the Kidde KN-COB-IC Hardwire Carbon Monoxide Alarm is hardwired into the building’s electrical system, the backup battery is only used during power outages. Reviewers say this means they rarely hear the “low battery” alarm. Distinct alarm sound. 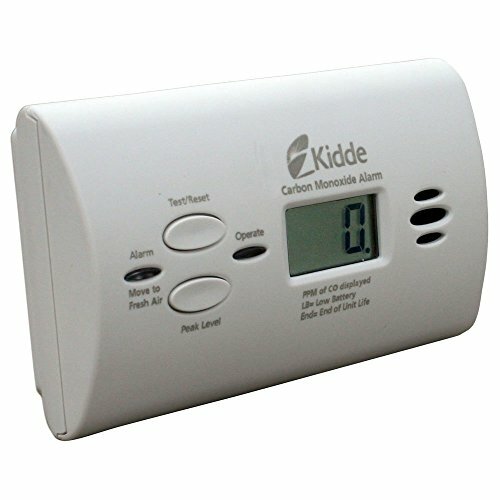 Several customers mention that the Kidde KN-COB-IC Hardwire Carbon Monoxide Alarm has a unique alarm tone that sets it apart from the other smoke or heat alarms in their homes or businesses. Discoloration. A handful of users write that the Kidde KN-COB-IC Hardwire Carbon Monoxide Alarm has a plastic housing that turns yellowish-brown after a few years. One-way interconnectivity. Customers who have the Kidde KN-COB-IC Hardwire Carbon Monoxide Alarm connected with other detectors say the alarms don’t work as intended. 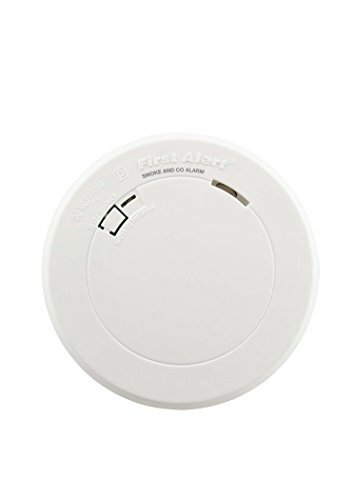 When other alarms go off, this device will also sound, but if this CO detector is tripped, it will not send a signal to make other devices (such as smoke or heat alarms) sound alarms. It only works that way with other CO detectors. Combination smoke and carbon monoxide detectors are designed to guard against both smoke and CO inhalation without the need to install additional detectors. Many of these products have multiple LED alerts to signal which threat is detected, and come in battery operated or hardwired versions. However, what they offer in convenience, they tend to lack in features, taking a more “middle of the road” approach to smoke and carbon monoxide detection. The Kidde KN-COSM-BA Combination Smoke/Carbon Monoxide Alarm is two devices for the price of one. It utilizes both an ionization smoke sensor and an electrochemical carbon monoxide detector to protect your home or business from fire and dangerous levels of gas. This combination smoke and carbon monoxide detector eliminates confusion with voice alarms that let you know which type of danger is present, which can save you time in an emergency. Two AA batteries are included in the package and installation is simple via a front-facing battery door. 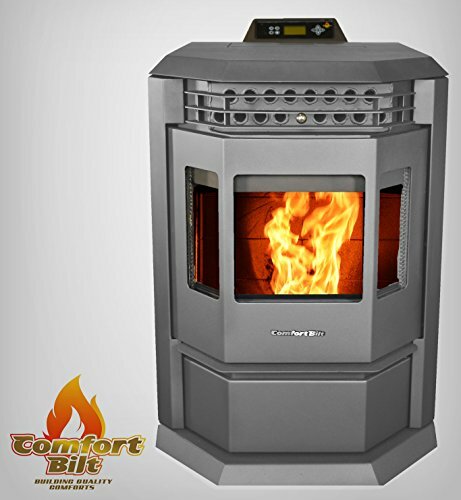 It comes with one-touch test/reset functionality and a seven-year limited warranty. Voice alarms. Users appreciate that the Kidde KN-COSM-BA Combination Smoke/Carbon Monoxide Alarm has separate verbal warnings for different alarms, helping them quickly determine if the danger is from fire, carbon monoxide or just a low battery. 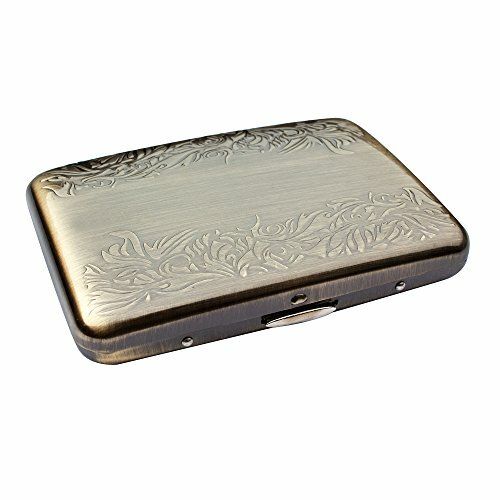 Easy battery access. Unlike most detectors, the battery compartment for the Kidde KN-COSM-BA Combination Smoke/Carbon Monoxide Alarm is accessed from the front. Several reviewers point out that this makes them more likely to replace the battery because they don’t have to remove the whole unit from the wall. LED indicator. Customers appreciate that the Kidde KN-COSM-BA Combination Smoke/Carbon Monoxide Alarm has a green LED indicator light that blinks every 60 seconds to let them know it’s on and working properly. The red indicator light blinks faster during an actual alarm. Hush mode. Many users like that the Kidde KN-COSM-BA Combination Smoke/Carbon Monoxide Alarm can be quickly silenced with the press of a button, which comes in handy if there’s a false alarm. Expired detectors. Some reviewers complain that they were sold out-of-date detectors. Always check the packaging and alarm itself to determine when it was manufactured and return units that are too old. Chews through batteries. Several customers say that the Kidde KN-COSM-BA Combination Smoke/Carbon Monoxide Alarm requires a lot of power, with two AA batteries lasting less than a month in some cases. Just as you’d expect to have a carbon monoxide detector in your house, you should have one to protect your recreational vehicles as well. In fact, the Recreation Vehicle Industry Association requires that any vehicle equipped with a generator – such as a motor home, caravan or houseboat – have a working carbon monoxide detector installed. Luckily, these models are very simple to install, requiring only a 9V or 12V battery depending on their size. Battery life is typically around one year, and most models will flash an LED warning light when it needs to be replaced. Owners and operators of campers, RVs and other vehicles that use propane need a gas detector that works well without taking up too much space or requiring difficult installation. 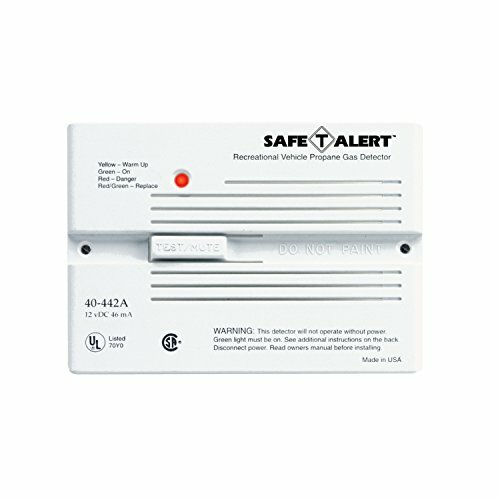 The Safe-T-Alert 40-442-P-WT Propane/LP Gas Detector fits the bill. This hardwired detector uses micro-current technology to save battery power and a proprietary circuit to minimize false alarms from things like aerosol cleaners, hairspray and other flammable gases. 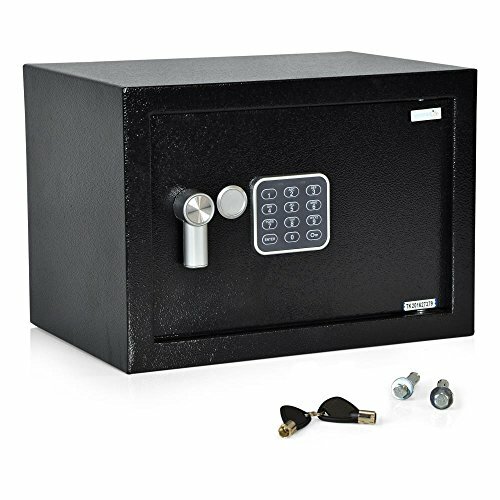 It features a single test/reset button that also mutes alarms, a self-cleaning sensor, and a 10-year shelf life with one-year limited warranty. Operational during mute. Users like that the Safe-T-Alert 40-442-P-WT Propane/LP Gas Detector still works even when the alarm has been muted, so they don’t have to sacrifice comfort for protection. Standard detector. According to some customers, the Safe-T-Alert 40-442-P-WT Propane/LP Gas Detector comes standard in many motorhomes, campers and fifth wheels, which makes swapping out old units for replacements a simple task. Clear instructions. Several reviewers liked that the instructions were very specific about where best to install the Safe-T-Alert 40-442-P-WT Propane/LP Gas Detector in their vehicles. Made in the USA. A number of users point to the Safe-T-Alert 40-442-P-WT Propane/LP Gas Detector being manufactured in the United States as one of the main reasons why they purchased it. LED indicator lights. The Safe-T-Alert 40-442-P-WT Propane/LP Gas Detector uses indicator lights to clearly alert users to danger or specify when the unit needs to be replaced, which many customers say they appreciate. Requires DC wiring knowledge. Some reviewers say they were confused during installation because they are not familiar with wiring devices like the Safe-T-Alert 40-442-P-WT Propane/LP Gas Detector that use direct current (DC) instead of alternating current (AC). Limited lifespan. According to a few reviewers, all carbon monoxide detectors with the “-P” designation (like this one) are designed to stop working only five years after being connected to a power source. This is apparently based on new RV regulations. Portable carbon monoxide detectors are especially useful for everyone from frequent travelers to construction and building maintenance technicians. Though they tend to be more expensive than the average home unit, they come with many more features built-in, including waterproofing, a larger CO sensor range and additional sensors for humidity and temperature. Portable carbon monoxide detectors are battery powered, and can last several years with regular use. Typically, they are used in industrial applications by firefighters and HVAC technicians, but can also be handy for those that spend a lot of time in hotels and other temporary housing that may lack built-in carbon monoxide detectors. If your job brings you into contact with potentially dangerous levels of carbon monoxide gas (or you’re just a concerned, frequent traveler), the industrial-grade Sensorcon Industrial Pro Carbon Monoxide Detector is the tool for you. It has a programmable real-time display that shows an extended range of CO levels from zero all the way up to 2,000 ppm – far above lethal levels. It comes with an alligator clip and lanyard loop so that it can be worn in a number of ways, leaving your hands free while it keeps you protected. It has several custom alarm modes and weighs only four ounces. Extremely accurate. 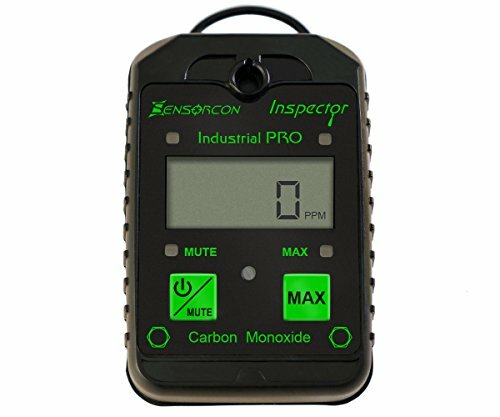 A number of users praise the Sensorcon Industrial Pro Carbon Monoxide Detector for its ability to detect CO levels with a 2 ppm margin of error, allowing for very precise measurement of carbon monoxide. Rugged design. The Sensorcon Industrial Pro Carbon Monoxide Detector is shockproof and IP67-rated waterproof, so it can go virtually anywhere without worry. 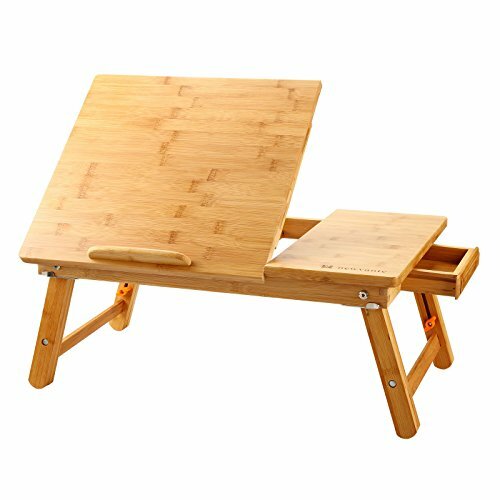 Customers who use this product professionally love how durable it is. Easy to carry. Users rave about how light and portable the Sensorcon Industrial Pro Carbon Monoxide Detector is. Weighing only 4 ounces, it can be easily clipped to a belt or worn on a lanyard. Battery-powered. Instead of using a built-in lithium ion battery, the Sensorcon Industrial Pro Carbon Monoxide Detector takes CR123A batteries. Power users like this because they’re relatively inexpensive to replace and they can simply swap out batteries and get back to work faster. Requires professional calibration. Unlike a standard carbon monoxide detector for the home, the Sensorcon Industrial Pro Carbon Monoxide Detector is a precise measuring tool, which means it must be calibrated by a professional every six months to one year to ensure sensor accuracy. This calibration comes at additional cost. Extremely short battery life. Because the Sensorcon Industrial Pro Carbon Monoxide Detector is always on, the battery life is only rated for about two years of use – even less if alarms are turned on.